The Riva restaurant at Eye, Peterborough. A well-known Peterborough Italian restaurant has bid arrivederci to the village of Eye after more than three years. The restaurant, which replaced the popular Ristorante I Toscanini venue in Peterborough Road in 2013, shut its doors on Wednesday. 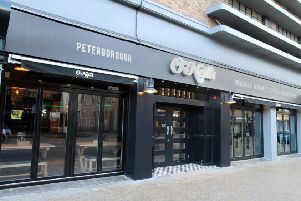 It had previously operated at the Key Theatre in Peterborough (from 2010) before the move. It is understood a new operator will take over the premises in the spring.